$36.40 Ships within 24 hours. 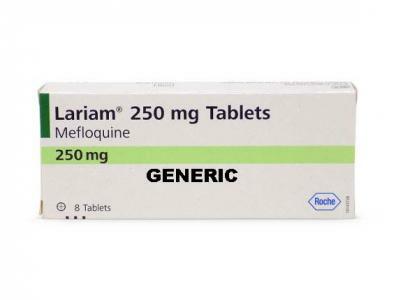 Mefloquine belongs to the class of medications called antimalarials. Mefloquine is used to treat and prevent malaria infections caused by certain types of parasites. Malaria is an infection caused by a group of parasites called Plasmodia that enter the blood through bites from infected mosquitoes. Before taking mefloquine, tell your doctor or pharmacist if you are allergic to it; or to quinine or quinidine; or if you have any other allergies. This product may contain inactive ingredients, which can cause allergic reactions or other problems. Talk to your pharmacist for more details. Read the Medication Guide provided by your pharmacist before you start taking mefloquine and each time you get a refill. If you have any questions, ask your doctor or pharmacist. Carry the information wallet card with you at all times. Take this medication by mouth as directed by your doctor. Take it with food or milk to prevent stomach upset. Do not take the medication on an empty stomach. Take each dose of this medication with a full glass (8 ounces or 240 milliliters) of water. If you have trouble swallowing the medication, the tablet may be crushed and placed in a small amount of water, milk, or other beverage. For children, the dosage is based on their weight. Early vomiting may occur in children after taking mefloquine. If vomiting occurs in your child after taking this medication, call the doctor right away to see if your child needs to take another dose of the medication. If vomiting continues, check with your doctor for a different medication to use in place of mefloquine. When using this medication to prevent malaria, it is usually taken once a week. The first dose of this medication should be taken one week before travel, or as directed by your doctor. Take this medication as prescribed for the full course of treatment. It is important that you do not miss any doses and that you take the drug on a regularly scheduled basis. Remember to take it on the same day each week. Upon returning from the malaria area, you should keep taking this medication for 4 more weeks. If you are unable to finish this course of mefloquine, contact your doctor. If this medication is being used for prevention of malaria, it is important to understand that it is still possible to contract the disease. Tell your doctor right away if you develop a fever. Malaria is best treated if therapy is started early. Before using this medication, tell your doctor or pharmacist your medical history, especially of: mental/mood disorders (such as depression, anxiety, schizophrenia), seizures, heart problems, liver disorder. This drug may make you dizzy or lose your balance. Alcohol or marijuana can make you more dizzy. Do not drive, use machinery, or do anything that needs alertness until you can do it safely. Limit alcoholic beverages. Talk to your doctor if you are using marijuana. Mefloquine may cause live bacterial vaccines (such as typhoid vaccine) not to work as well. 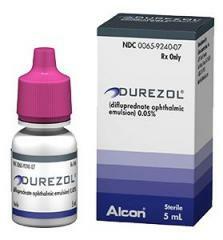 Therefore, do not have any immunizations/vaccinations while using this medication without the consent of your doctor. Stomach upset/pain, loss of appetite, nausea/vomiting, headache, muscle pain, or diarrhea may occur. If any of these effects persist or worsen, tell your doctor promptly. numbness/tingling/pain of hands or feet, vision changes, unusual tiredness, persistent nausea/vomiting, dark urine, yellowing skin/eyes. Get medical help right away if you have any very serious side effects, including: fast/slow/irregular heartbeat, fainting, seizures. Some products that may interact with this drug include: artemether-lumefantrine, beta-blockers (such as atenolol, propranolol), chloroquine, halofantrine, ketoconazole, quinidine, quinine, drugs for seizures (such as phenytoin, valproic acid), ziprasidone. Do not take halofantrine or ketoconazole for 15 weeks after your last dose of mefloquine. Other medications can affect the removal of mefloquine from your body, which may affect how mefloquine works. Examples include rifamycins (such as rifabutin), azole antifungals (such as itraconazole), among others. breathing, call a poison control center right away. MISSED DOSE OF Mefloquine HCL: If you miss a dose, take it as soon as you remember. If it is near the time of the next dose, skip themissed dose and resume your usual dosing schedule. Do not double the dose to catch up. STORAGE OF Mefloquine HCL: Store at room temperature away from light and moisture. Do not store in bathroom. Keep all medications away from children and pets.